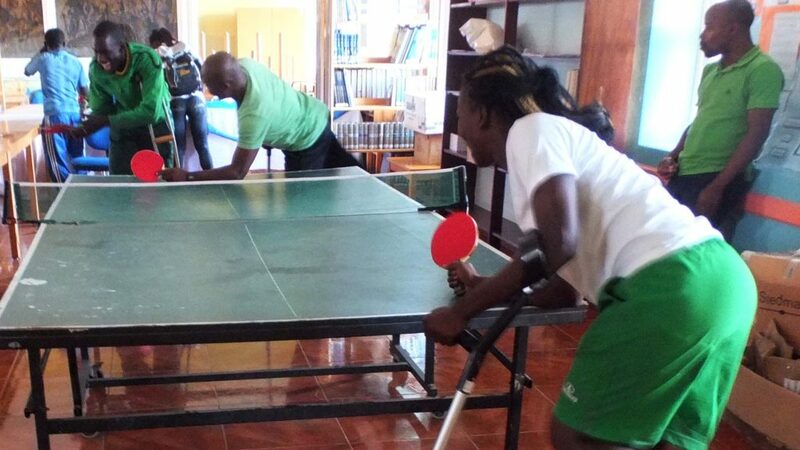 Located off the west coast of Africa, the islands of São Tome and Principe were the home for a recent ITTF/PTT Level One Coach Education Course; organised under the auspices of the ITTF Development Programme and with the support of Olympic Solidarity, proceedings commenced on Saturday 15th September and concluded on Sunday 30th September. The expert on duty in the world’s smallest Portuguese speaking country was appropriately Portugal’s Abilio Cruz. Abilio Cruz (left) with (right) Olinto Daio, the Minister of Education and Culture. 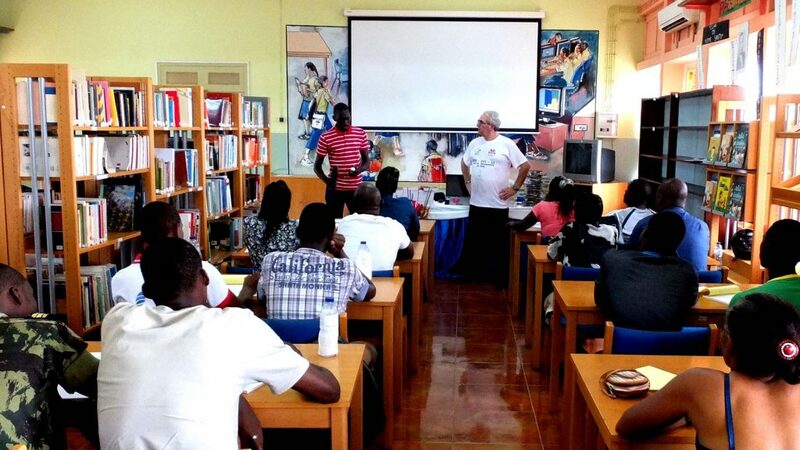 Home for whole proceedings, both for the theoretical and practical sessions, was the National Lyceum in São Tome. 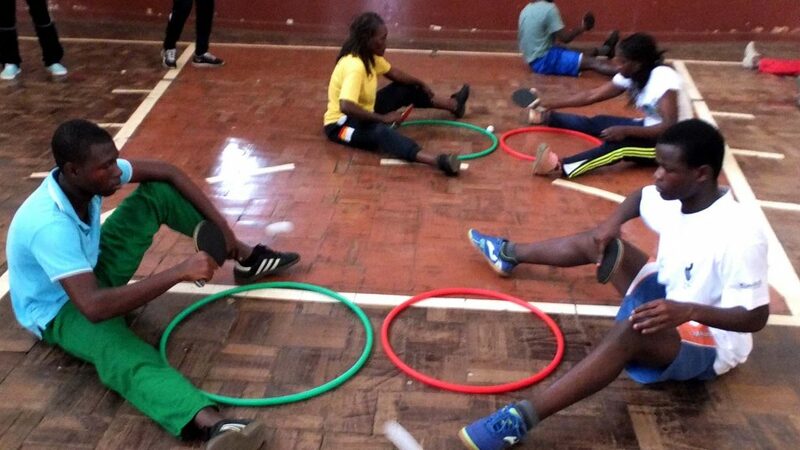 A total of 30 students all enthusiastic physical education teachers, attended; notably 10 members of the course were women; the course members travelled from Agua Grande, Caue, Canta Galo, Mezochi, Lobata, Lemba, Pagué and the autonomous region of Príncipe. Officially accepted as members of the International Table Tennis Federation at the 2015 Annual General Meeting held on the occasion of the Qoros 2015 World Championships in Suzhou; despite current economic difficulties in the region, table tennis is making progress. 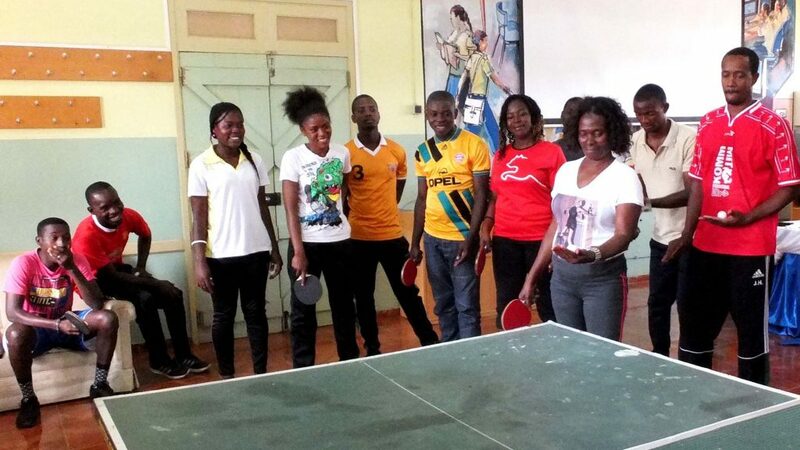 Posik Espirito Santo, the President of the Sao Tome and Principe Table Tennis Federation, with the support of Olinto Daio, the Minister of Education and Culture, is preparing a pilot project for two schools; the aim not only to encourage children to play, also the involve teachers. The Ministry of Education and Culture will assist with the provision of equipment, whilst the course conducted by Abilio Cruz with enable the teachers to become coaches. In addition to conducting the course, Abilio Cruz met João Costa Alegre, the President of the National Olympic Committee. Likewise he offered the São Tome and Principe Table Tennis Federation support in helping a national structure to be realised. Support from the Ministry of Education and Culture, support from the National Olympic Committee; there was also support from the media. Abilio Cruz was very much the focus of attention. A high pass rate of 96 per cent was achieved.